Post No.1325; Dated 3rd October 2014. This article is part of my series on Mahavamsa, Chronicle of Sri Lanka. Studying about the plants mentioned in ancient literature helps us to understand the interaction between human beings and the plants. Mostly we read about the love and affection towards plants, respect and worship of sacred trees. What we find in Mahavamsa wouldn’t surprise any Hindu or a resident of Indian subcontinent, because we see such an attitude from Vedic days. Their approach was the same from Kashmir to Kandy. Mahavamsa has lot of references to plants, particularly to the holy pipal tree known as Bodhi tree in Buddhist literature. Tamils named Arasa Maram meaning King of Trees. 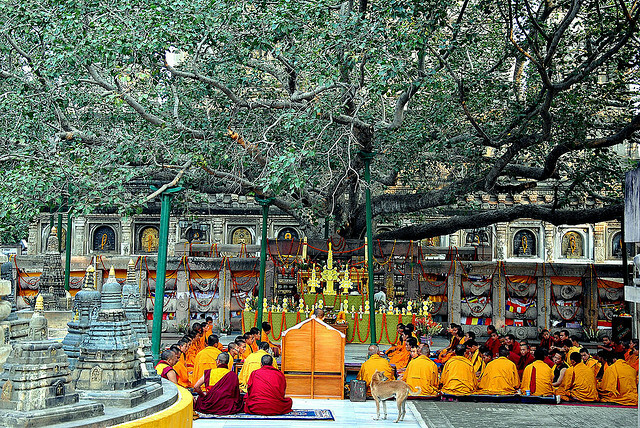 Since Buddha attained wisdom under the tree, it has got more respect than any other tree. But this pipal tree (Ficus religiosa) is in the Indus Valley Civilization, the Upanishads and later literature. In the Bhagavad Gita Lord Krishna says Of all the trees I am the papal tree. Along with two other trees of the same Ficus genus it is mentioned as one of the names of Lord Vishnu in Vishnu Sahasramana. Probably that is the reason Buddha decided to sit under the tree in his attempt to find the Truth. Hindus are pioneers in naming the regions after the predominant plant of the area. They named lands after Jhambu, Ila, Shalmali plants etc. Tamil Hindus also followed this custom and named their five lands after five plants such as Kurinji, Mullai etc. Chapters 18 and19 “Receiving and Coming of the Great Bodhi Tree” make very interesting reading. Asoka’s preparation to send the branch of the Bodhi/ Pipal tree from Bihar to Sri Lanka is described in detail. He paid respect to the tree like a king. In fact he offered the kingdom thrice to the tree and crowned it as the emperor of the Mighty Mauryan Empire. He asked his counterpart in Sri Lanka Devanam Priya Tissa to do the same. He also did give a big welcome to the tree. Chapter 5 says that the angels brought Naga creeper twigs to brush the teeth, Myrobalans, mangoes, Terminalia for eating and celestial lotus and jasmine flowers for offering. In the same chapter we come across the story of Nigrodha (Mr Banyan Tree). When Emperor Asoka killed his elder brother Sumana, his pregnant wife was given refuge by the guardian angel of Nyakrodha tree (Banyan) and so her son was given the same name. He was protected by that angel. 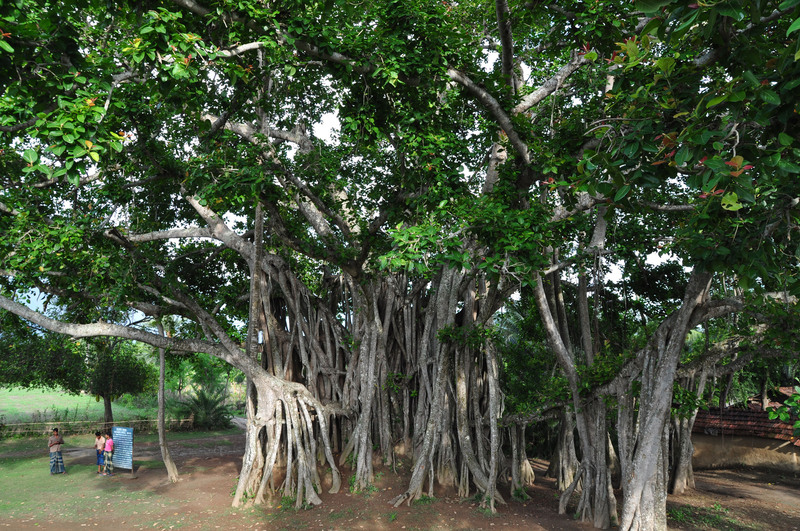 ‘Nyakrodha’ is the name of Banyan tree (Ficus bengalensis or Ficus indica). The person’s name will be Mr Banyan Tree which is common in India. We have Pippaladan and other names in Upanishads meaning Mr Pipal Tree. Even several dynasties named themselves after plants such as Ikshvahu, Sunga, Kadamba, Pallava etc. 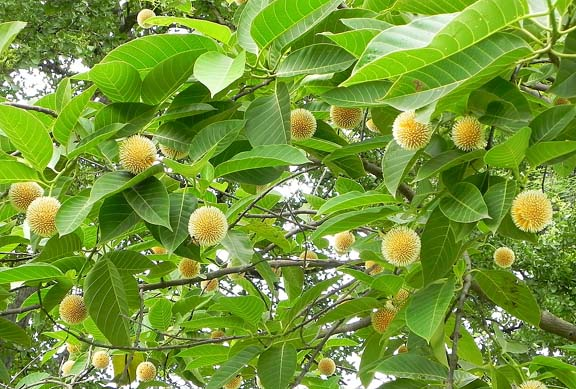 We have a reference to Kadamba tree (Neolamrckia cadamba) in Chapter 18. Once Madurai in South India was full of these trees and Madurai was called Kadamba vana, where the world famous Meenakshi temple was built later. Mandu Thorn killed Bodhi Tree ! In chapter 20, there is an interesting episode of the evil queen of Emperor Asoka killing the famous Bodhi tree with a poisonous thorn. It is called Mandu thorn. When the queen died, Asoka elevated another beautiful lady Tissarakkha to be the queen. She thought Asoka was pouring his love and affection to tree instead of her and used a Mandu thorn to kill the tree in the Mahamega arama. The commentator adds that there is another incident like this in the Dadhivahana Jataka. 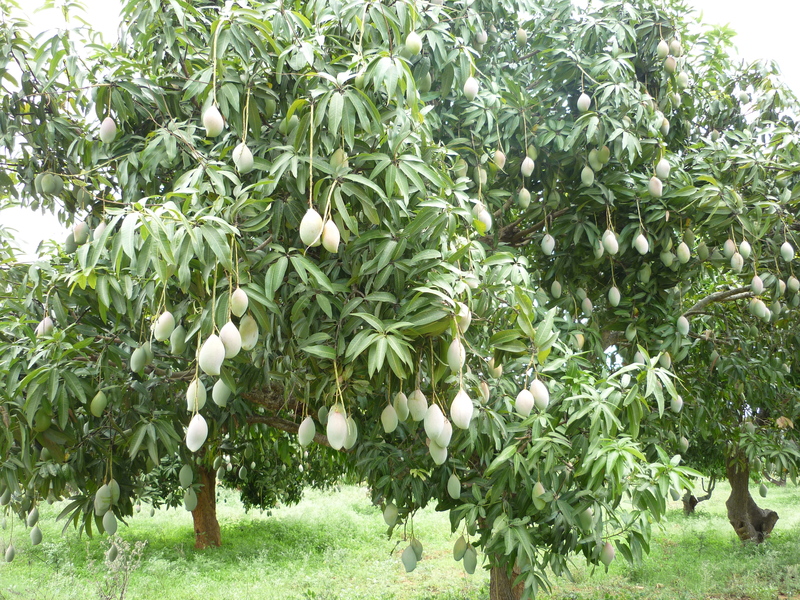 It was explained how the kernel of a mango fruit lost its germinating power when it was pierced with a Manu thorn. (I could not get the botanical term for this thorn). In chapter 36 also we read about a murder by poisoning a tree. King Samgatissa accompanied by women used to go to East island between India and Sri Lanka, just to eat Jambu (Indian blackberries) fruits. People in the island hated this. So they poisoned the fruits of the tree. When the king ate it he died immediately. 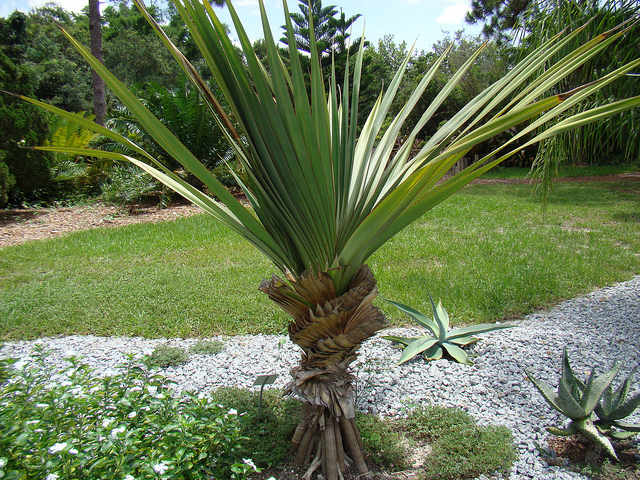 In the same chapter 36, we read about Mucela tree (botanical term not known) and areca palm. About Palmyra in chapter10, I have already written a post “Palmyra worship in India and Sri Lanka”. Palmyra was worshipped as a sacred tree in India (Natrinai Tamil verse 303) and Sri Lanka. During Pandukabhayan rule he installed a Palmyra tree which is considered the tree of hunters’ god. In chapter29, we read about a novel building technique. The resin gum of Kapitha tree (Feronica elephantum) is mixed with sweet water it helped to fix eight inch thick copper sheets. Chapter 30 mentions Saptaparna tree (Alstonia scholaris) on which the king was leaning to watch the scenery. Flowering plants Jasmine, Parijata (night jasmine) and Shenpak were mentioned in the book. Chapter 31 says that Buddha’s double appearance happened under the gandamba tree and we do know what tree it was. We also read about Buddha’s last minute under the Sala tree. Chapter 34 refers to Ujjuka flowers, a kind of jasmine. Chapter 35 refers to Kumbandaka fruits. King Amandagamani distributed this fruit to all the Buddha Bikshus. So his name became Amanda after the fruit. Commentators identify this with Pumpkin gourd or ricinus plant. It is strange that the king himself was named after the fruit which he distributed. As a great enthusiast of fruits, he planted grape wine everywhere. Mahavamsa has mentioned many more plants, the study of which will throw more light on the people’s food habits. Issac Newton discovered Laws of Gravity under an Apple tree! From time immemorial Hindus have been worshipping trees of wisdom .Three trees from the same genus Ficus (belongs to the family Moraceae) have been mentioned in the Vedas, Upanishads and later Hindu scriptures like Bhagavad Gita, Vishnu Sahsranama etc. They are Banyan Tree, Peepal tree and Udumbara tree. Brahmins performed their fire rituals (Yagas, Yagnas, Havans and Homas) with particular types of wood only- mostly Peepal ( also known as asvaththa, Bodhi ). Tamils called this peepal tree as the King of Trees (Arasa maram). They installed gods’ statues under Peepal or Banyan (Arasu and Aal in Tamil அரச, ஆல மரம்) only. Krishna says he is Asvaththa among the trees in Bhagavad Gita. 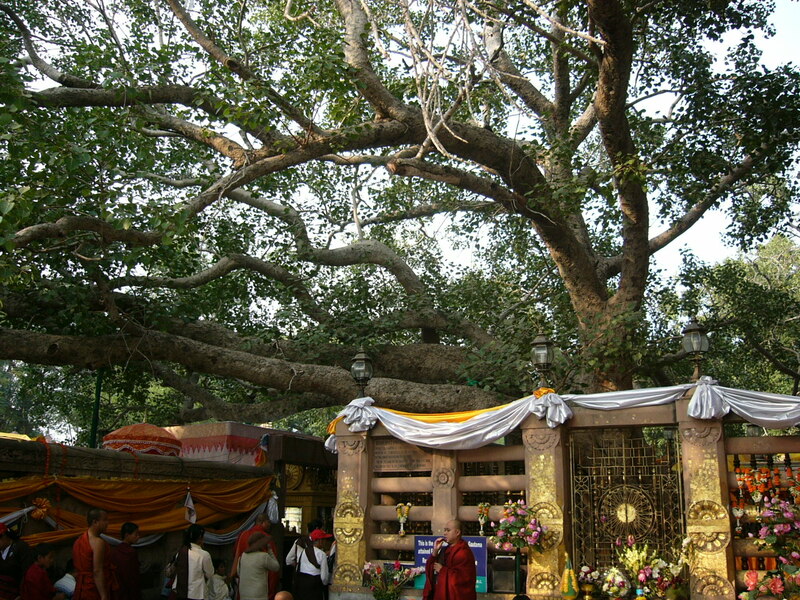 Buddha who was born a Hindu followed the Vedic tradition and did his penance under this tree. If your shadow touches Shenpaka செண்பகம், it will bloom. Paalai= Wrightia Tinctoria or Alstonia Scholaris; Makizam= Mimusops eEengi; Paathiri =Stereospermum Suaveblens; Mullai= Jasminium Auriculatum; Punnai= calophyllum inophyllum; Kura= holarrhena antidysenterica; Asoka = Saraca Indica; Kurukkaththi= Hiptage Madabloata; Mara=Shorea Talura; Shenpakam= Michelia Champaka. Great Tamil poet Tiruvalluvar added one more to this list Anicham flower that is not satisfactorily identified yet. If you smell it, it withers. 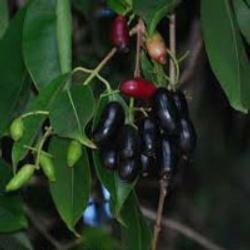 Udumbara/Aththi/Ficus glomerata: This tree was worshipped by the Romans according to the Bible. North Indians worship it as Dattatreya. Recently India has started exporting Neem (margosa வேம்பு) tree leaves to Japan for its medicinal properties. Japanese drink neem based water instead of green tea.Tamils have been using Neem (Veppa Maram in Tamil வேப்ப மரம்) for ages to stop the virus of small pox. If one takes it from young age in the prescribed quantity, even snake bite wouldn’t affect the person. One kilo neem leaves fetch Rs100. Red sandal wood is exported to Japan for nuclear plants. They stop the radiation spreading like the metal lead. Sandal’s cooling effect is praised by Tamil and Sanskrit literature. Scientific facts: 121 Drugs from plants! Different size trees produce different amount of oxygen. It differs from 200 pounds to 400 pounds per tree a year. Man of average size consumes 400 pounds oxygen per year. Ocean algae ( Katal Paasi in Tamil கடல் பாசி) produces 90 percent of world’s oxygen! Tropical forests are considered “Lungs of Earth”. The US National Cancer Institute has identified 3000 plants that are active against cancer cells. 121 prescription drugs sold today are produced from plants. Vincristine, extracted from the plant Periwinkle is one of the worlds most powerful anti cancer drugs. Trees help us to fight cancer, small pox, may be even AIDS. Let us respect, worship and save TREES. Meaning: பெண்கள் உதைத்தால் பூக்கும் அசோக மரம், பெண்கள் சிரித்தால் பூக்கும் செண்பக மரம், பெண்கள் பேசினால் பூக்கும் நமேரு மரம், பெண்கள் தழுவினால் பூக்கும் குராபக மரம், பெண்கள் பார்த்தால் பூக்கும் திலக மரம்).